If you haven't heard of Bunchems! Where have you been? These crazy, sticky (except they're not sticky), squashy, colourful things have been causing a stir for quite some time now and it's easy to see why. Bunchems. They really are unlike any toy that we have and we have alot of toys. 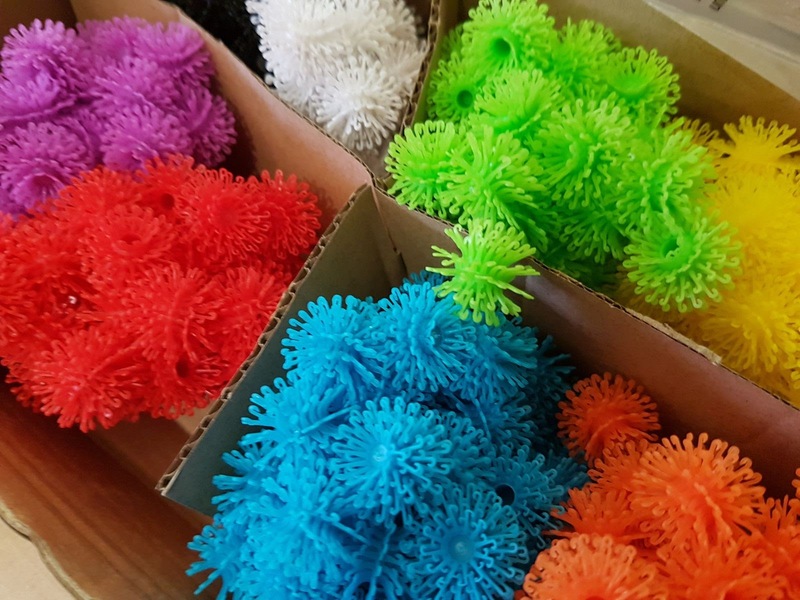 These brightly coloured little balls cleverly stick to each other with a little squeeze and allow the child to use their imagination and let their creativity flow. We were kindly sent 2 packs to test out and both surpassed my expectations. 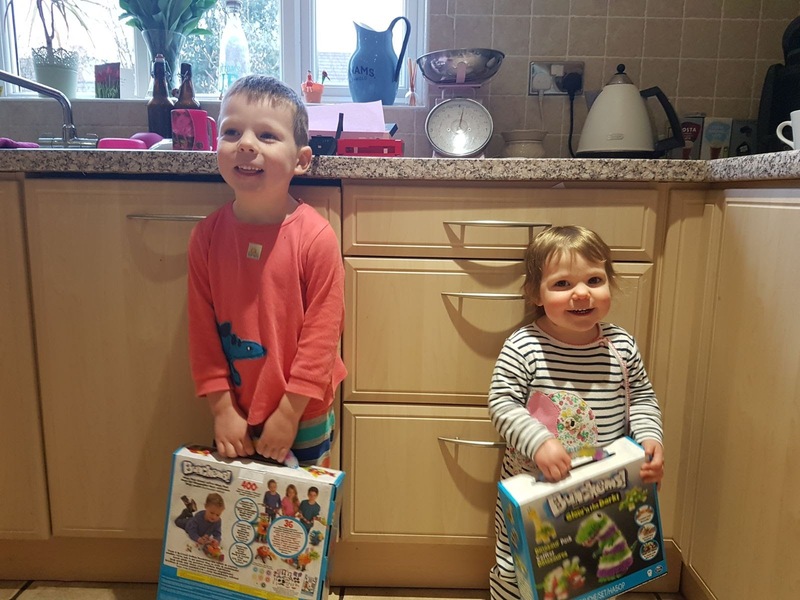 Both boxes were filled to the brim with these curious little, crazy balls, they look so inviting to the curious, creative child and as soon as Alfie saw inside the box he couldn't wait to start creating. 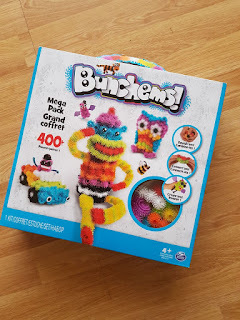 Both boxes feature a mix of colours and accessories to make a variety of critters. I have to admit, it wasn't just Alfie that got involved. Myself and my husband got right in there having a little go and seeing what we could create. These things are addictive and quite relaxing, I kid you not. There is something about them that draws you in wanting to stick them together and create crazy, 3d creatures and models. Alfie was obsessed with making a scrunch......his idea of a monster I think! He was very proud of his scrunch that's for sure. The concept is so simple it's a winning formula. Similar to sticklebricks in that they magically fix together and stay it's easy for children and their little hands to be creative. The possibilities are literally endless with what you can make. Bumchems are recommended for age 4 + and I would have to agree with this. 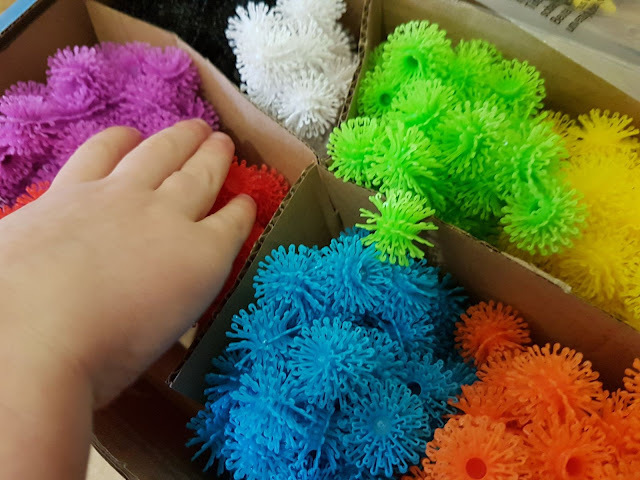 We let Elarna play with them fully supervised but they are a choking risk and it wouldn't be a smart move to let any child younger than 4 play with them alone, as mentioned they do look rather inviting to the younger child so make sure you store well out of their reach. We had a go at making several things that the instruction book suggests. Alfie loved the bumble bee that Daddy helped him make, pretty cute isn't it! We also spent quite alot of time trying to make the biggest snake that we could out of then Bunchems.......sadly I didn't get a chance to take a picture of this as Alfie was quite protective over it! Kept the kids entertained for a decent amount of time. What weren't we so keen on? They get everywhere!! I keep finding them in a variety of places. Overall, I was very impressed with them. It went above my expectations, engaged the kids far more than I anticipated and they are a welcome addition to our toy collection. We will definitely be taking several away on holiday with us as they did occupy them for quite some time and as they come in a fairly slim box they don't take up much space at all. Have you ever tried Bunchems? What did you think of them? * Please note I was kindly sent the items free of charge in exchange for an honest and unbiased review. All thoughts and opinions are that of my own. I wanted to get these for my youngest. Then I heard horror stories about them getting caught in kid's hair...so I didn't get them. Looks like a lot of fun though! Those look great fun, but I'm glad the Tubblet is slightly too old for them. I remember those band things getting everywhere! I can not tell you the number of times I have found these in my toddlers' hair...and the dog's hair. I find great joy now in vacuuming them up! I'd never heard of these but they look fun. My 6 year old absolutely loves Bunch 'Ems. They are what she asked for for her last birthday and for Christmas last year.